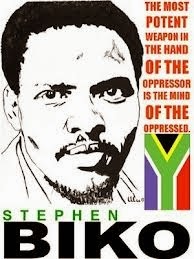 All the coverage of Nelson Mandela over the past ten days brought to mind Bantu Stephen Biko. 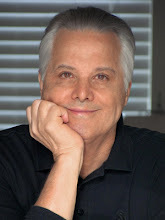 This coming Wednesday, December 18th would have been his sixty-seventh birthday. He did not live past thirty. He died from injuries inflicted on him during police custody. His crime: He said “Black is beautiful.” And he did what he could to make black people believe that about themselves. To free them. To think through the process of getting from there to here. 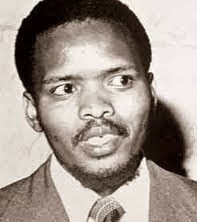 Steve Biko wanted to be a doctor, but he became an activist in his student days, was expelled from high school for his freedom-fighting activities. He eventually graduated from St. Francis College in KwaZulu-Natal and enrolled in the University of Natal Medical School. Along the way he also co-founded the South African Students’ Organization, spearheaded the Black Consciousness Movement, and eventually cofounded the Black Peoples’ Convention. These political stances put him on the wrong side of the law. He was arrested repeatedly. He was expelled from medical school. In 1973, the apartheid regime, gagged him. They forbid him to write or speak publically, to talk to the press. He was not allowed to say a word if there was more than one person within earshot. He worked undercover after that, and despite repeated arrests, through his courage, charisma, and determination, he was able to get his message heard. His slogan “Black is beautiful” made it into the New York vocabulary by 1970. The thugs who thought to silence him did not relent. They arrested him again in August 1977 in Port Elizabeth, the southern-most city in South Africa. A month later, shackled and broken, he was found just outside of Pretoria in the north. He died the next day, September 12, 1977, of a brain hemorrhage. Many years later, first hearing the sound of his recorded voice, in the Apartheid Museum in Johannesburg, brought tears to my eyes. His voice was beautiful. It was intellectual. And it was silenced with clubs to his head. 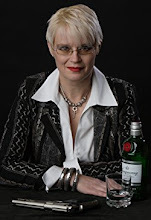 Thanks, Annamaria! Movements are never just one person, and there are always those who never get to live to see the results of their efforts. That makes them no less important. Well said, Everett. 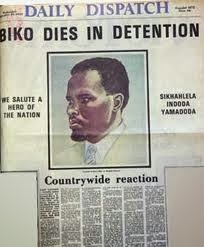 Biko gave the movement his all. He was a great organizer. They took his life to silence him, but like all martyrs's words, his message became stronger with his passing. I cannot help but wonder how different our world might have been had those willing to lay down their lives for what they believed in not found their commitment realized. Thank you for this beautiful post. 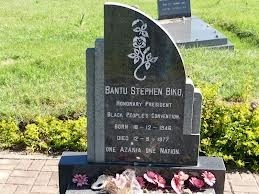 Steven Biko was a great hero, a martyr for the cause of freedom for his people. It is still chilling to think of the horrors wrought on people who wanted to be free, the leaders, the the fighters, the poets, the workers, the students, the women, men, children, the individuals. The death of Nelson Mandela reminds us of the Sharpville Massacre and the Soweto Massacre, but, so, too does it remind us of the mass movement in South Africa. Seeing the tens of thousands line up to bid farewell to Mandela shows how important he was to this movement. This post also reminds me of the film about the journalist, Donald Woods," in which Denzel Washington portrays Steven Biko. What a brilliant man he was. The scene in which he is beaten nearly to death by the "nazi" apartheid police is unforgettable. But Biko is not forgotten by the people, just as Mandela will always be remembered, so, too, is Biko. Kathy, As usual, you and I see eye to eye, perfectly. 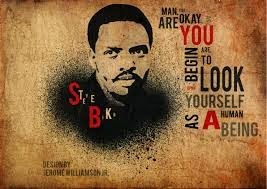 When I heard about the film "Cry Freedom," I thought, aw come on, who is going to be able to act the part of Steve Biko? There was also a lot of controversy in New York about that fact that the movie was too focused on Donald Woods. In the end, I think it was a good choice for that film. People said it should be only Biko's story, but as it was, I think it was much more appealing to an American audience, which meant many more people learned about Biko. And I think Denzel Washington portrayed Biko--perhaps not accurately--but in a way that showed just how charming, intelligent, and intense as he must have been. Otherwise, how would he have had the effect on people that he did? Now that you bring it up, I put it on my Netflix queue. It's time to see it again. Thanks for this post, Annamaria. It is important to remember the breadth of people who led the struggle against the Apartheid government. One of the matters of pride for the University of the Witwatersrand here is that several medical professors - led by the late Phillip Tobias - pushed for the inquest results to be overturned and for the doctors who had stood by in the mistreatment of Steve Biko to be punished. While they never made any impact on the government, and the white controlled medical council initially ignored them, they eventually took the medical council to court and succeeded in having the doctors struck off the role. A small triumph perhaps, but one that helped publicize what had been done and swept under the carpet. Michael, I am pleased that you approve. I felt a little intimidated talking about your country's history, which I know only from afar. It is so inspiring to hear the story of those doctors that I would never have known otherwise. They heroically served the truth, and persisted. Walls of silence are torn down brick by brick. Whoever removes a brick deserves our gratitude. They punched open a big hole and let in a very important truth. It is quite incredible for me to hear of doctors who went along with the torture of Steven Biko. But then again there were doctors and other medical people who went along with abuse at Abu Ghraib and who participate in forced feeding and other inhumane treatment at Guantanamo. But so glad that it is pointed out here. I often wonder how people can consider them "doctors" or health professionals when they act like this, condone the abuse or tacitly condone it. I would rewatch the film "Cry Freedom," but I couldn't take that scene of the severe beating of Steven Biko, as portrayed by the tremendous actor, Denzel Washington. Also, in the version I watched there is documentary footage of one of the massacres in South Africa at the end. It was either at Sharpeville or Soweto, so painful to watch and think of the lives lost, children, included.